I was rummaging through the shelves of books about cinematography at our local, independent bookstore, BOOKPEOPLE, when I came across this book. It was published in 2013 so it's not exactly cutting edge topical but it's an important book to read for all the people who say, "I have no interest whatsoever in video..."
The book is a well researched romp through the changing history of language, communication, symbology and understanding. It traces the paths from the embrace of the written word as a primary method of communication and shows how quickly, thoroughly and globally we are moving from the written word to the language of motion pictures. The author makes a convincing point that, in the near future, to be truly literate will mean understanding the grammar and language of video; both how to decode it and how to create it. 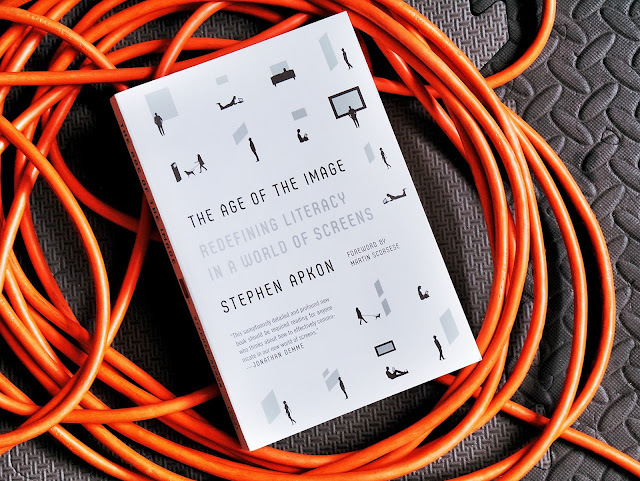 Toward the end of the book are examples of current educational theory about communication and the embrace of moving images on all manner of screen. In the chapters leading up to that are some general explanations about how to make better video programming. Also, how and why a good video can trump the printing word for global dissemitnation of ideas, memes and, of course, brand messaging. After reading the book I grabbed my inexpensive G85 with the kit zoom, put an ND filter on the front of the lens and headed out to practice shooting interesting scenes. The book inspires one to look beyond conventional wisdom, to stop looking in the rear view mirror of technology, and to think more inclusively about communication and not just one's favorite or most comfortable media. (This book was purchased with my own funds and was not sent to me by the borrower or the author. No one asked me to write this short review).